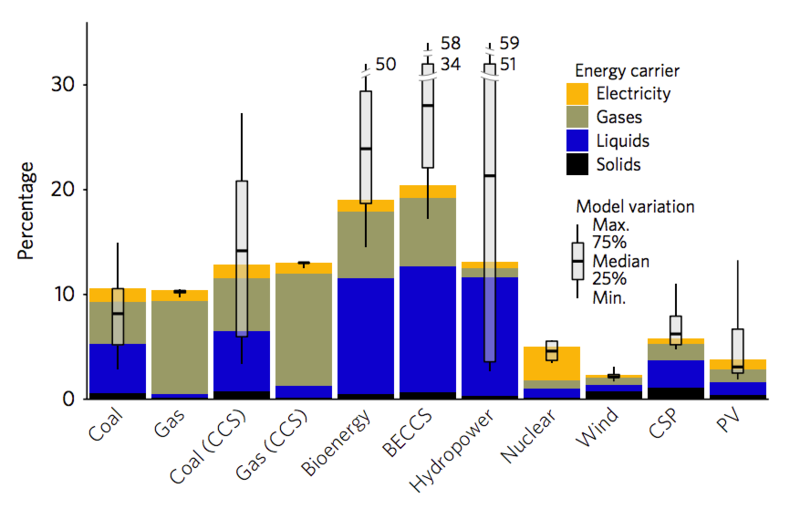 In a separate study, published in 2013, Prof Hertwich and colleagues took a wider look at the natural resources needed to generate power from wind, solar, gas and other fuels. This found that renewable electricity reduces all forms of pollution, with this benefit trading off against the need for larger quantities of a range of raw materials, from iron to copper and cement. 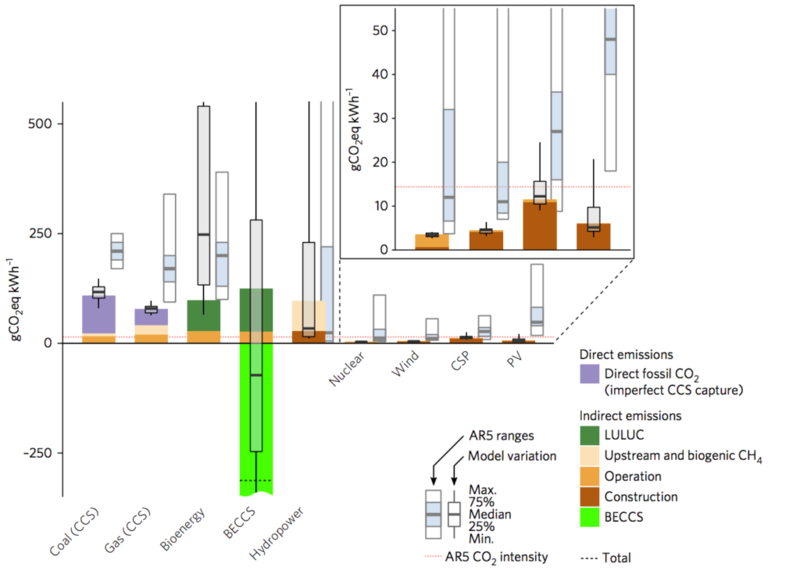 Note that this chart shows figures for a 2C world in 2050, when global electricity supplies have been largely decarbonised. This shift cuts the impact of indirect emissions due to electricity use, for example at a solar cell factory or nuclear fuel site. The chart also accounts for technological progress, which is particularly significant for solar as manufacturing processes get more efficient. Energy | August 8. 2016. Energy | May 5. 2017. Energy | April 4. 2018. Energy | February 2. 2015. Energy | January 1. 2015.